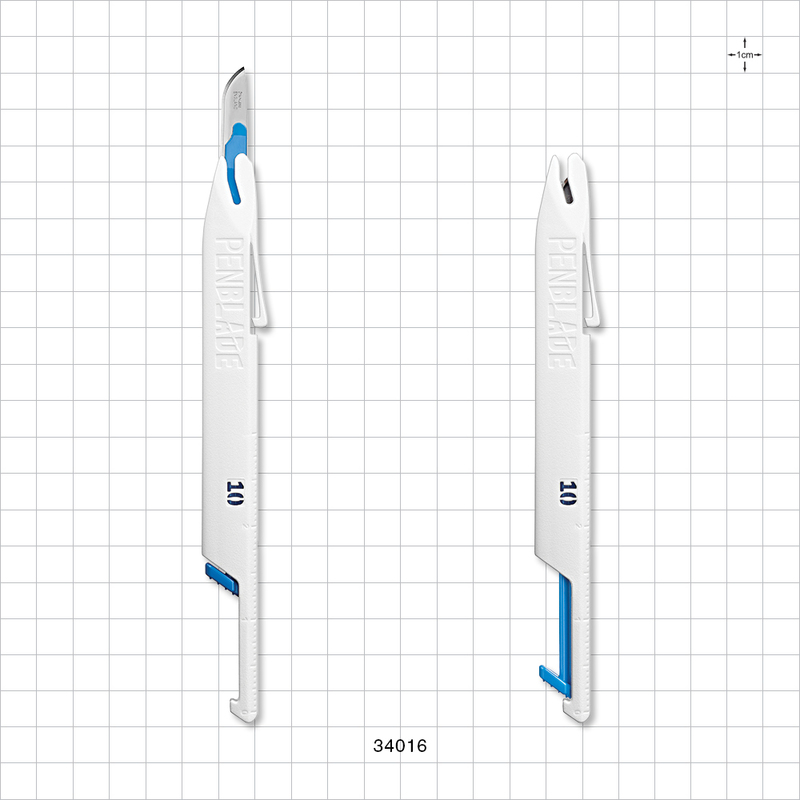 Qosina offers a variety of non-sterile, single-use safety scalpels that are in stock and ready for immediate delivery. Qosina part #34016 is the revolutionary #10 PenBlade®. Sold per bag of 50, the scalpel's white and blue body is constructed of medical-grade ABS, and the blade is high-quality British stainless steel for improved sharpness and durability. The pen-style activation is intuitive, using existing muscle memory (clicking an ink pen), and the release button is positioned near the front of the scalpel, where it can be pressed without looking or repositioning the hand. 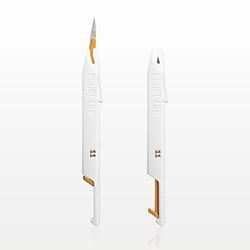 When the blade is retracted, the end of the PenBlade® forms a suture-trimming groove. 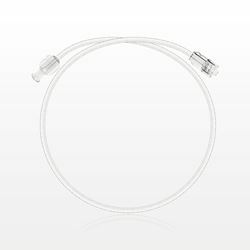 This unique patented feature is not available on any other surgical scalpel. 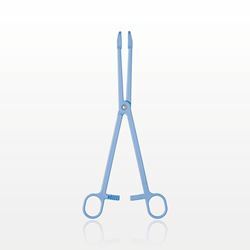 Qosina supplies a number of safety scalpels and a wide selection of procedure tray kit components and tools to meet your kit packing requirements.